Utility relocations and tree removals in preparation for the replacement of the Mount Vernon Street Bridge just west of Kansas Expressway began in early March. Road closures are expected periodically throughout this site preparation work. 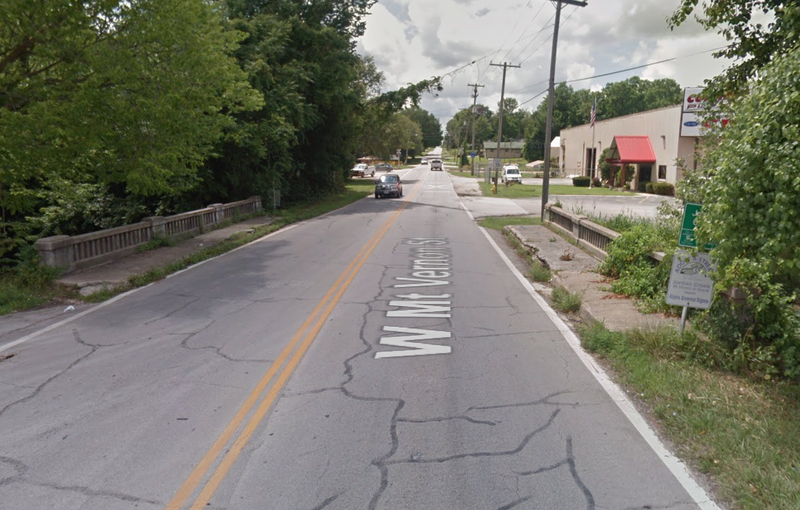 The bridge replacement project will remove and replace the structurally deficient Mount Vernon Street bridge, add sidewalks compliant with the Americans with Disabilities Act and connect the existing multi-use trail to Mount Vernon Street. The project will also provide bank stabilization and increased flow capacity to Jordan Creek. Construction on the project is anticipated to begin in April. At the start of construction, motorists and pedestrians can expect Mount Vernon Street to be shut down for approximately three months. A posted detour will guide traffic around the work zone using Walnut Street, Scenic Avenue and Grand Street. Road closure updates will be released through the City’s website and social media channels as the start of construction approaches. The project is expected to be complete in late summer or early fall. The cost of the project is approximately $1.5 million, partially funded through the federal On-System Bridge Program with the remaining portion funded through reimbursement funds from the Missouri Department of Transportation received from a previous project. The contractor for the project is Hartman & Company, Inc.